If you are a professional of any kind, we ask you, do you have a portfolio website that showcases all of your masterpieces? When someone asks you what you do, don’t you think a link to your website is much more intriguing than explaining it to them? Of course, it is. This is the 21st century and if you still do not own your website, you must probably have been living under the rock. Owning a portfolio online is a thousand times better than a file or a book. Ever wondered how you can get it for yourself? Well, here we are today, dealing with the exact topic. If you own a WordPress website, then fret no more, to create a brilliant portfolio is now a piece of cake. How? You have two options, you can either create one using the WordPress portfolio template or you can have one with WordPress portfolio plugin. If you want to use WordPress templates, we have already discussed this before in one of our articles. Below are the links to them if you want to check it out. Since you already have an idea of WordPress themes, today we will talk about WordPress Portfolio Plugin. What are WordPress Portfolio Plugins? So what exactly are the portfolio plugins for WordPress? 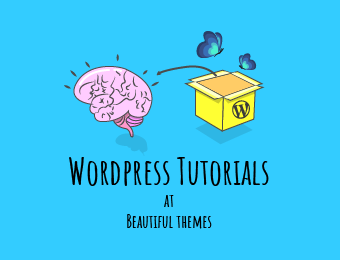 These are basically plugins that are developed with the aim of creating a WordPress website that showcases all of your brilliant masterpieces. You can use these plugins to help create a one of a kind and creative portfolio so that you impress others. Easy to use and install, the best part of it all is that you need zero knowledge on coding. This means that it is user-friendly and comes with instructions so that you don’t come across any problems. To decide which portfolio plugin to choose is a hefty task, simply because you will find a large array full of it on WordPress. To help our users out, we have created our very own hand-picked list of the best WordPress Portfolio Plugins that we found so far. Take a look and choose the one that best suits you! We have mentioned three best free plugins and three best premium plugins so that you get a glimpse of what you can get from both. What would you want in a WordPress portfolio plugin? Drag and drop, easy to customize feature? Beautiful and elegant designs, fast loading time?Well, you can have it all with the Photo Gallery by Envira. 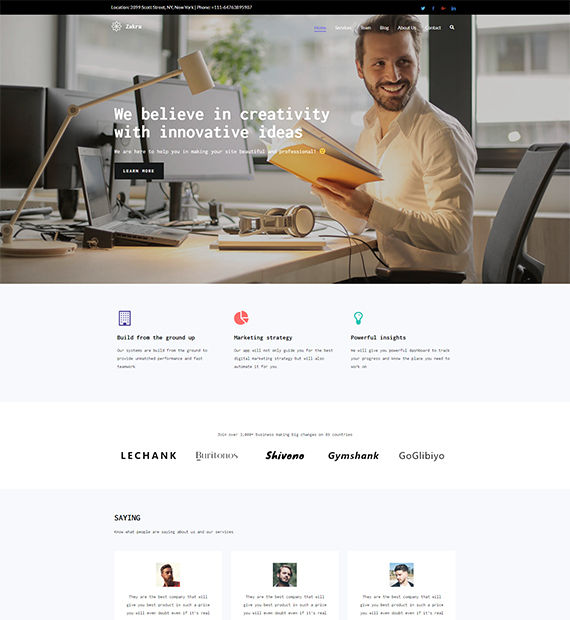 One of the best out there to showcase all of your work in a super responsive and highly optimized design, this portfolio plugin makes your portfolio making process a hundred times easier. You can download this for free from the official WordPress site and if you want more advanced features, you can also get the premium version. Retina ready and responsive design and layout. SEO friendly and fully optimized for speed. Envira Gallery helps you create a unique and beautiful portfolio in a matter of minutes. We have installed and tried the plugin to make sure that it serves what it says. Here is an easy guide to help you create the perfect portfolio using this plugin. Start off by installing and activating the plugin. You can find this easily on the official site of WordPress. You can then navigate to the Event Gallery. Select add new to create a portfolio to display all your works. You will be redirected to a page to create the portfolio. On the new page, you will see the option to add files to display on your website. You can either upload files from your computer or other sources. Another simple way to do is to drag the images and upload. After you are done uploading the images, you can scroll down. There you will find the options to edit your portfolio gallery. You can choose the image size, layouts, order as well as options for video, tags and social media. Once you are happy with your portfolio, you can go ahead and click Publish on the right-hand side of the top of the page. If you want to learn more about this WordPress Portfolio Plugin then you can click the link. When you decide to pay for something, you better get your money’s worth. Exactly why we have the Go Portfolio on our list of best WordPress Portfolio plugin. With this plugin, you get all the features you might possibly need. You can create unlimited portfolios with the advanced export and import system. The clean documentation style that this portfolio plugin for WordPress is retina ready as well as fully responsive. Another great aspect of it is that this plugin is also Visual Composer Compatible. You can also sell your images or videos as this plugin is WooCommere Ready. What more can you do with it? Well, check out the other cool functionalities. Comes with 38 starter template. This plugin supports for all touchscreen devices. Easy customization and admin settings. Retina ready design which is fully responsive. Visual Composer compatible thus saving your time. Here is a glimpse of how you can create and edit your portfolio using the portfolio plugin. You can enter the name, ID and shortcodes if any, in the first part. If you scroll down you will notice the options to choose the category, taxonomy as well as how you want the post to display itself. After you have edited this part, you can Save the changes using the option at the end. If you scroll down further you will also see other editing options. You can change the layout and how you choose to display it. In addition, you can also choose the number of posts you want on a page and customize the space between them. You can save these changes using the button at the end, or you can navigate to Dashboard to view the changes. Furthermore, another awesome feature of customization option is the Style customization section. Here you can edit the style, colour as well as the fonts of your portfolio. 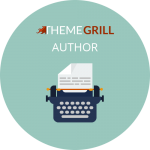 You can customize this so that it matches your WordPress template. The perfect platform to be creative, this portfolio plugin for WordPress is worth your every penny. Know more about this plugin in detail or install it from the link here. A unique WordPress portfolio plugin, Media Grid is a great way to create the portfolio that leaves a lasting impression. Optimized for speed as well as for mobile-friendly design, this is another great premium portfolio plugin. The best part of this plugin is that this supports shortcodes and HTML, and its lightbox is built to handle large contents. The visual grid builder that this plugin makes it super easy and fun to build your portfolio. Retina ready and fully responsive designs and layout. Visual Grid Builder for easier use. Supports all type of media from images to audio. Unlimited attributes and related icon option. Comes with 10 preset styles. SEO friendly and WooCommerce ready. Here is an example of how you can use this plugin to create your perfect online portfolio. After you have downloaded and installed the plugin, you can find the settings on your Dashboard. You can customize your portfolio with ease using the customization option of this plugin. You can choose the layout and order of the portfolio grid. The simple drag and drop functionality eases the process further. You can easily add new portfolio from the easy page type settings that you will find on the Dashboard. Easy to use with maximum functionalities, what else can you wish for? You can edit the grid, shadows, fonts, borders, and margins included in your portfolio. Simple as that, you will have your custom portfolio in no time. Brought to WordPress users by the Huge IT, Portfolio Gallery is another great portfolio plugin for WordPress. Showing off your work online has never been easier to do and great to look at. With this plugin, you will have the access to demonstrate all of your work in an organized and clean portfolio galleries. You can create as many galleries as you wish and there are options from seven different animated and Lightbox-enabled layouts you can choose from. Flexibility and great customization option is the highlight of this portfolio plugin for WordPress. Unlimited option to create portfolio galleries. Auto-generated short-codes that help in easy embedding. Fully responsive as well as mobile-friendly design. Option to add either images or videos. Seven different layouts to choose from. Just as great as all the features sound, it is, even more, easier to customize and use this plugin to create a portfolio. Here is a glimpse of how you can use it to create awesome portfolios that will leave a great impression. The first step to create a portfolio is to install and activate the plugin. Once you do that, you will find the option to use the plugin on the Dashboard menu. Choose Huge-IT Portfolio and click on Portfolios. You will be redirected to a new page. Click the option for Add New Portfolio. Once you reach the new page, you can add the media files that you want to be displayed. You can even upload in a bulk by choosing the specific folder. You also get the option to remove any files that you do not want. On the right-hand side of the page, you get the option to edit the order and layout of your portfolio. Once you are happy with your settings, you can click on Save Portfolio. Your newly created portfolio using the WordPress portfolio plugin is ready! Know more about this plugin or download it now! Essential Grid is another great bargain for a premium WordPress portfolio plugin that you can get for the maximum functionalities. How? Let us elaborate the functionalities. You get regular updates that you can switch to anytime you wish. This is the ultimate All-purpose Grid Building solution from where you can create unlimited portfolio contents. Easy to customize with the Visual Skin builder and high standard documentation. You can use this to create grids for blogs, portfolios, galleries, shops and product sliders. You cannot wish for more, but this plugin gives it to you. Visual Skin Editor that allows easy customization. Import and export developer tools. Retina-ready and fully responsive design. Compatible with WooCommerce and SEO friendly. Supports media from Vimeo, YouTube as well as SoundCloud. Here is an example of how awesome your WordPress site looks once you use this plugin to create a stunning portfolio. The grid style and order of the images are customizable and you can change it as per your liking. Be creative and make the most out of what you paid for! If you wish to know more about it or wish to download it, click on the link below. Another great portfolio plugin for WordPress is the Nimble Portfolio plugin. This is a feature-rich plugin that serves all the functions needed to create a unique and appealing portfolio for you. It has the ability to group the contents using the inbuilt jQuery sort filter. Not only this but you can also display them on any theme that you choose. The best feature set of this plugin is that this can also be customized using other add-ons that you can easily find and download. If you have any confusion, the official site also has tutorial videos to assist you. Custom post type option for portfolio items. Compatible with all post types including WooCommerce Products and Posts. Supports video files from YouTube as well as Vimeo and Quicktime. Categorization and filter feature to choose from. In-built PrettyPhoto gallery for image, video and PDF view option. With this awesome portfolio plugin for WordPress, you can make your online portfolio better than ever. With the user-friendly post type options, creating a new portfolio is as simple as 1 2 3. To use the Nimble Portfolio option, you first need to install and activate the plugin. After that, you can navigate to the Dashboard and select Nimble Portfolio then Add Portfolio Item. You will see that creating a new portfolio with this plugin is similar to adding a new post. Then, you can add the title as well as the media using the Add Media option on top. You can then scroll down to edit other details and if you wish you can also add videos and images from other sites like YoutTube, Vimeo and Quicktime. All you have to do is enter the video URL. After you are done with the edit, you can then go ahead and click on Publish. Your newly created portfolio will be active. Easy peasy lemon squeezy! When it comes to creating an online WordPress portfolio, it is important that you find yourself a plugin that functions as per your requirement. Thus, we hope we have helped you with our list of Best Free and Premium WordPress portfolio plugins! If we missed out any other that should be listed, do let us know! If you need help in finding plugins for other purposes, be sure to check out our other plugin collections! I have used #1 and #5 and both worked pretty good. Yet to try the rest of the tools. Take my greetings for this awesome collection. I liked to inform you that i found one more plugin named Portfolio Designer. This plugin is user-friendly, So no matter if you are a beginner, WordPress user, Designer or a Developer.